From the fanny pack to the shoulder bag, it's becoming normal for men to carry bags. 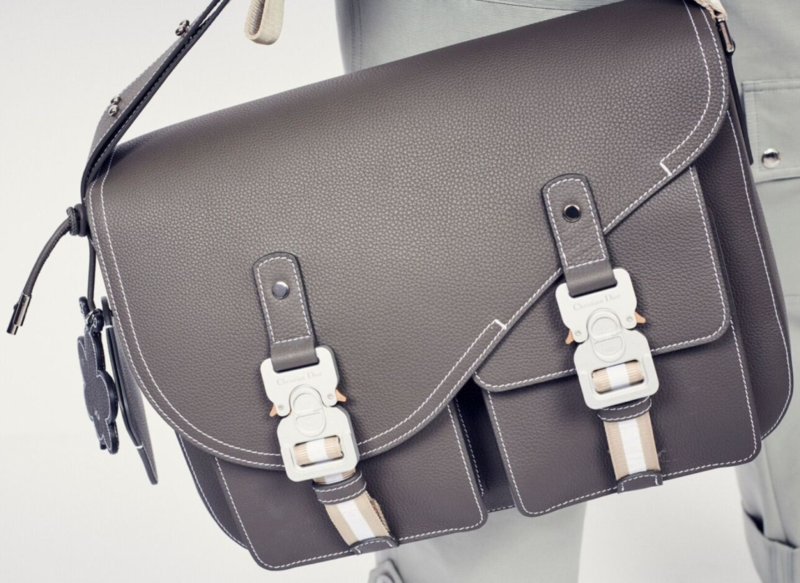 Dior's Men's Saddle Bag is the next domino to fall as men inch closer and closer to carrying proper handbags. In 2017, Jacob Gallagher of the Wall Street Journal wrote an article on the return of the fanny pack as a male accessory. The trend started before then, but since the end of 2017 the fanny pack has been a subject of conversation in nearly every publication imaginable. 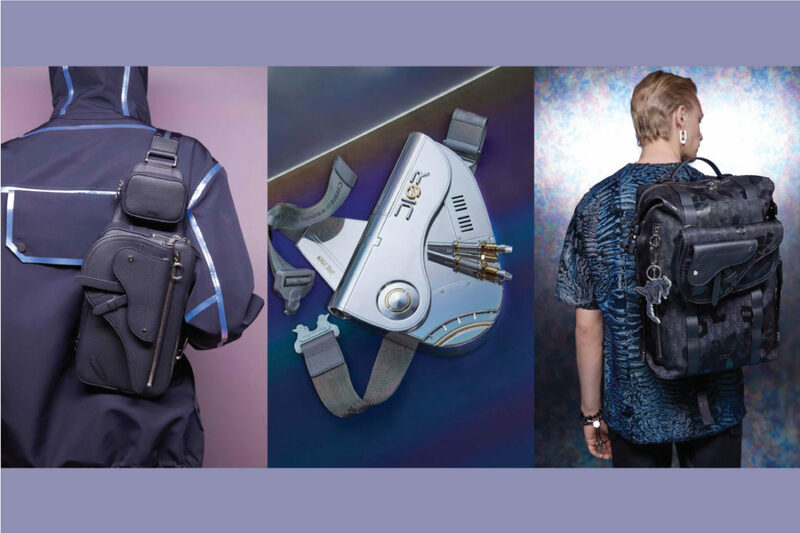 Rachel Tashjian of Garage Magazine wrote an Entire History of the Fanny Pack in late 2018, and at the end of the year, it was announced that fanny pack/ bum bag sales accounted for more than 25% of accessory growth in the United States. Looking at our own platform, five out of ten of the top-selling streetwear items on StockX fall into the fanny pack/bum bag category. 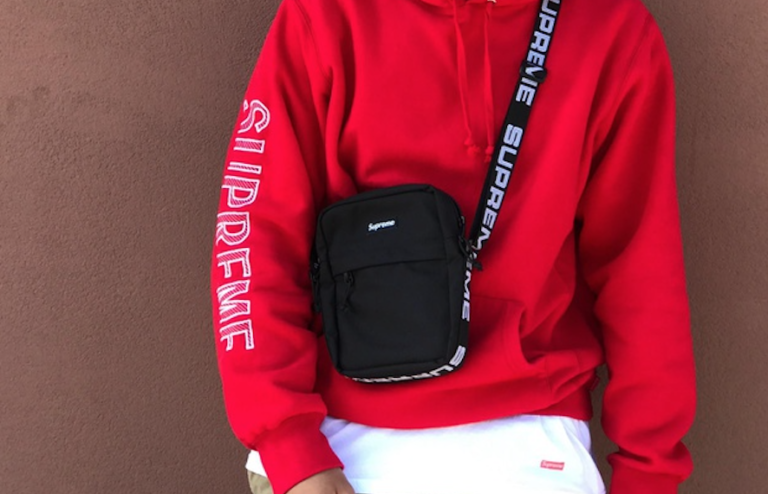 Over 45,000 of those shoulder/ waist bags sold on StockX in 2018, and every similar bag that Supreme released in the past year sold out instantly. Needless to say, the bags are in high demand and the world of fashion is fascinated. In terms of trend, the bags don’t seem to be going away either. 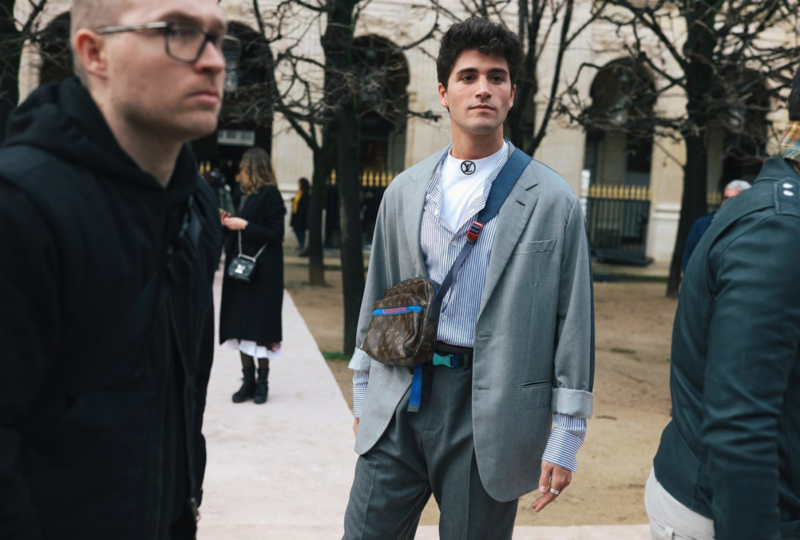 Just a few days into the New Year, Vogue listed the fanny pack in their “10 Trends We Expect to See in Men’s Street Style This Year”. In fact, it was the first trend they mentioned. But taking a step back, this craze has gone through an interesting progression. What began outright with the fanny pack has since evolved into other models. Sitting in the number one spot for most sold in streetwear on StockX isn’t a traditional fanny pack, it’s a “Shoulder Bag”. When you look at it, it may be called a shoulder bag, but it’s not a reach to call it a proper handbag or purse, or at least a near relative. 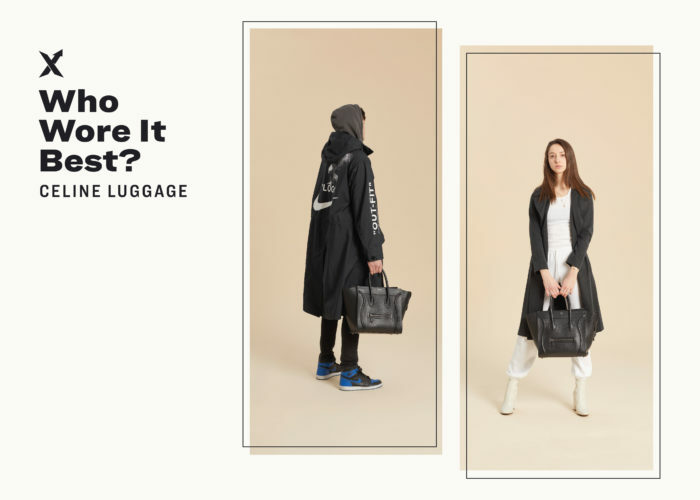 The larger trend here suggests that men are slowly becoming comfortable carrying bags that look more traditionally feminine. But in the way that it took a fanny pack to transition men into shoulder bags, will it similarly take a specific item to transition them into proper handbags? Enter the Dior Men’s Saddle Bag by Kim Jones. It seems nearly every relevant fashion house in France went through a change at Men’s Creative Director in 2018. Berluti saw the exit of Haider Ackermann and the entry of Kris Van Assche, Louis Vuitton saw the exit of Kim Jones and the entry of Virgil Abloh, Dior saw the exit of Kris Van Assche and the entry of Kim Jones. With such a shakeup, new looks were observed on each of these runways. 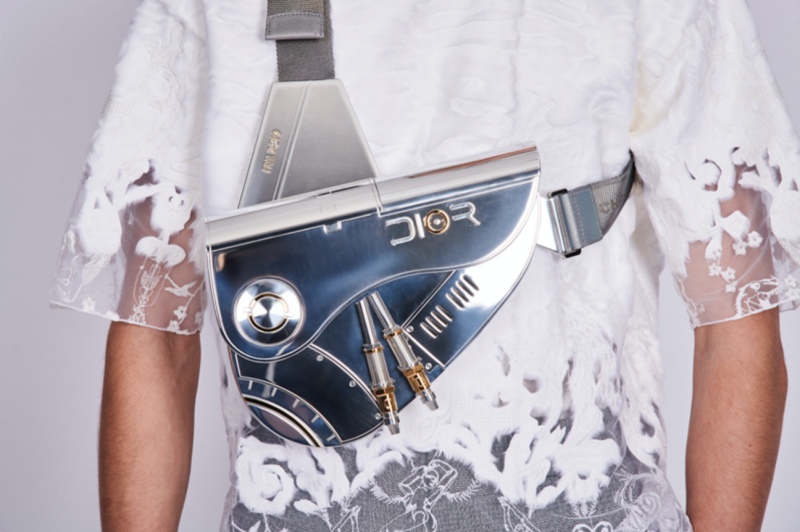 One of the largest shakeups of the year came during Dior Men’s playful, flower-packed SS19 show as the Dior Saddle Bag, previously sold exclusively as a women’s bag, graced the runway over a man’s shoulder. 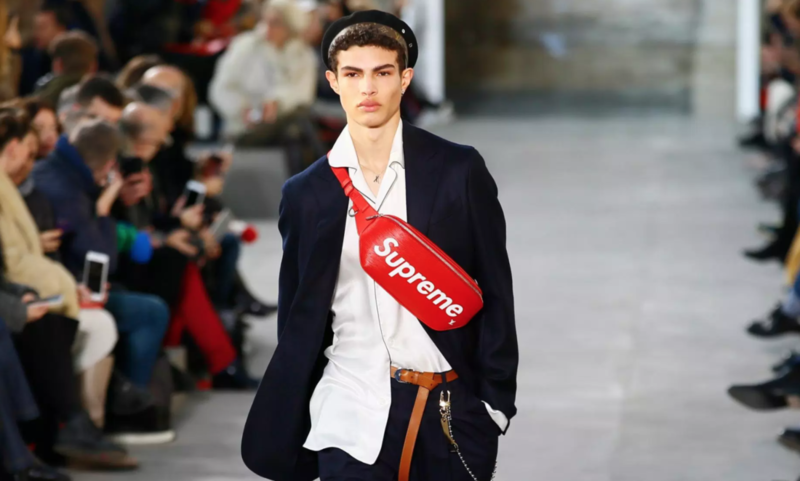 Both the show and the climate of fashion suggests that in two years, we could very well see the affluent male teens of Soho sporting not a shoulder or waist bag, but a Celine Men’s Handbag (somebody get us the Vegas odds on Hedi sending a men’s handbag down the runway this year). Over the last few years, luxury fashion has seen the rise of a new type of designer, one in tune with what’s going on in culture. Demna Gvasalia and Alessandro Michele were the first wave and Kim Jones and Virgil Abloh have come to follow. Highsnobiety’s “The New Luxury” has placed all of their brands except Dior placed in the top ten of “New Luxury” brands (Kim Jones’ old house is there though). The designers at these brands have a clear idea of where the future of fashion is headed. Maybe that’s why now is the time for the first ever Men’s saddle bag. At their most recent show, Pre-Fall, Dior seems to have doubled down on the idea that the Saddle Bag will function more androgynously. The show looked like something out of a sci-fi film (lasers and chrome everywhere, Hajime Sorayama helped out after all). The saddle bag appeared in this show as well, but whereas at the SS19 show, the bag was a rather traditional adaptation, the Pre-Fall rendition was something completely different. We like to imagine Kim Jones jumping into a time machine sometime after the SS19 show and traveling 300 years into the future to bring back their progression of the bag. It’s fully chrome, it’s polished in metal, and it looks very little like a traditional saddle bag. The bag fits over one’s shoulder somewhat similarly to that of the Louis Vuitton harness Timothee Chalamet wore to the Golden Globes, but hangs just under the arm instead of across the chest. 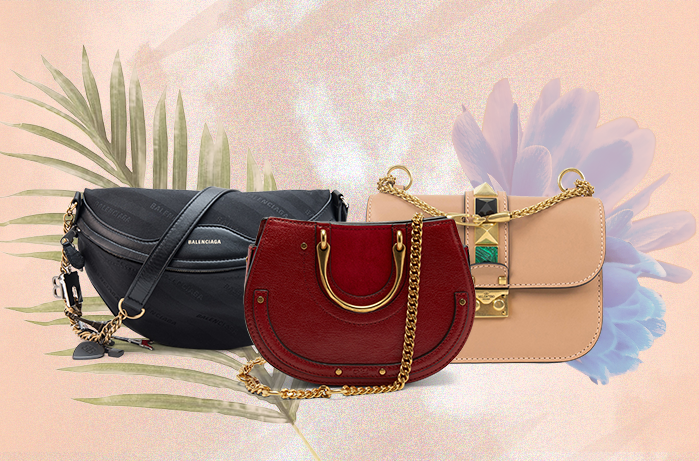 For those not yet ready to carry a handbag, shop Supreme Shoulder Bags here. For those ready to get ahead of the curve, check out our list of Top Timeless Bags to Carry into 2019.